A healthy 4 year old boy is brought to the Dermatology clinic at Queen Elizabeth Central Hospital, Blantyre by his parents. He has been scratching his head, and they have recently noticed that he has developed several small scaly areas with associated hair loss. What is your diagnosis and how would you treat him? 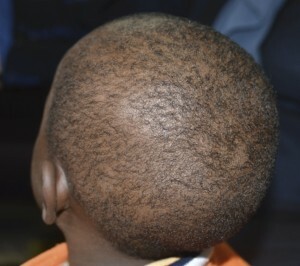 The diagnosis is tinea capitis (scalp “ringworm”). This is a cutaneous fungal infection which invades the hair shaft and is often due to Trichophyton tonsurans (caught from other children) or Microsporum canis (caught from kittens or puppies). Without treatment it gets better spontaneously at puberty. After puberty it only occurs in patients with underlying immunosuppression. Treatment of choice is oral griseofulvin 15-20mg/kg/day for 6 weeks. Additional application of a topical antifungal, during the early stages of treatment, may reduce the risk of transmission. Terbinafine is an unlicensed alternative, but may not be as effective for infections with M. canis. The only oral antifungal available in the department is ketoconazole, so he is prescribed this and topical Whitfield’s ointment. His parents then tell you that his elder sister was treated with the same treatment successfully earlier this year. Other siblings with infection should also be treated and if the family pet’s fur is falling out it must be treated too. 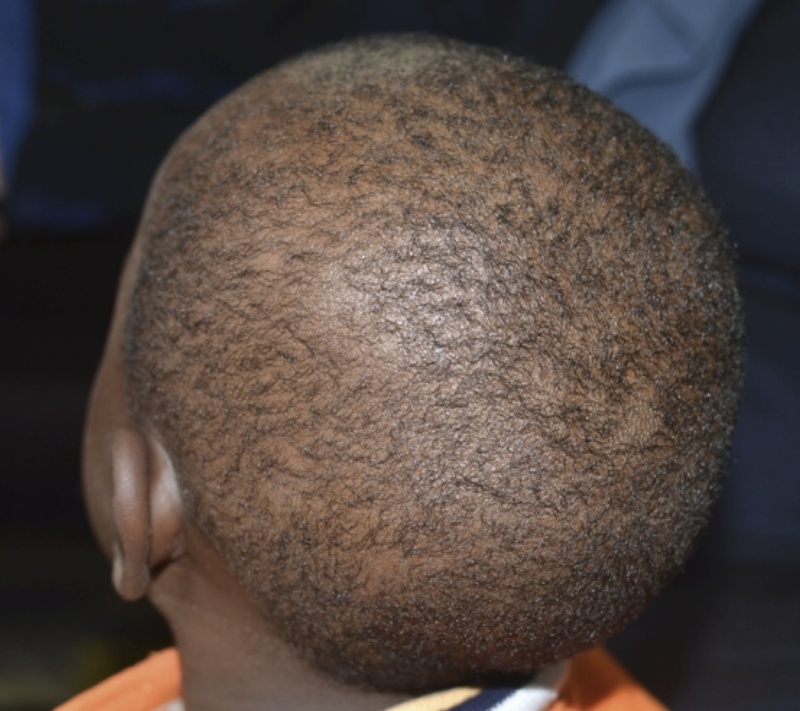 The other differential diagnosis to consider in this case is alopecia areata but the presence of scale distinguishes these diagnoses.